To Teach, Educate, Inspire, Nurture, Enlighten and Energise Power Engineers / Managers and strive for quality improvement in human resources for achieving higher productivity. To build an Institution of global excellence for human resources development of power sector and to share its experience, expertise and enlighten the managerial personnel of power utilities. 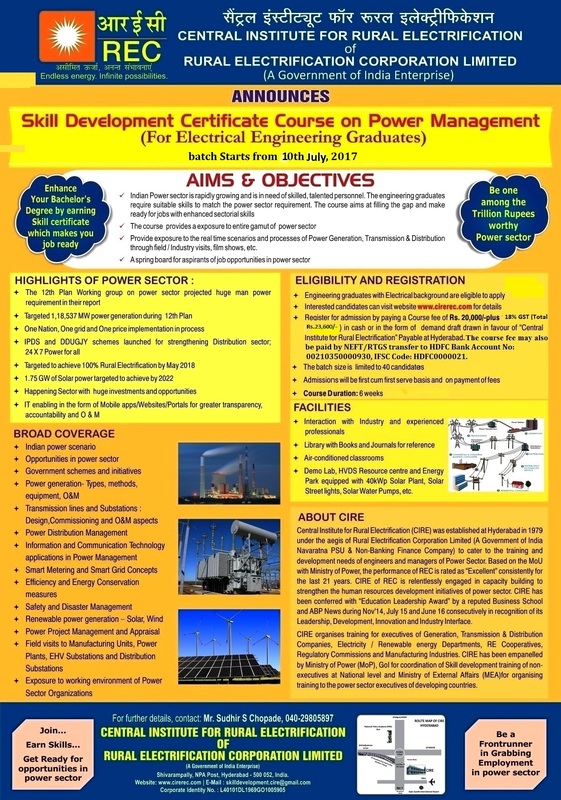 To organize training programmes in both conventional and new & renewable energy areas and also to conduct programmes related to development of techno-managerial efficiency of power utilities/industry. To organize tailor-made programmes suitable to the needs of power utilities both in public and private sector. To associate with other institutions and bodies in furtherance of power sector reforms, rural electrification and power/energy development programmes.